By 2020, there will be 31 BILLION IoT (Internet of Things) connected devices in circulation, with 10,000 new devices coming online every 60 seconds. 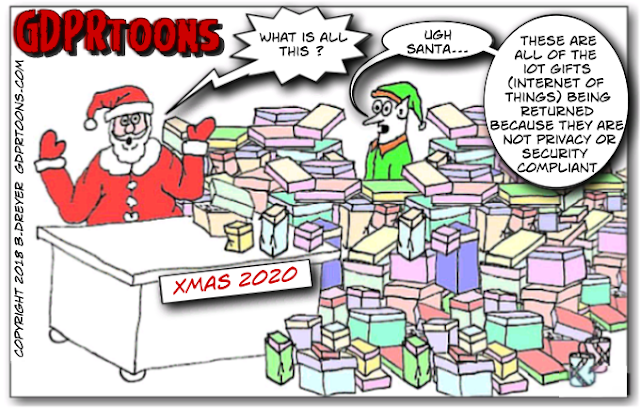 I re-purposed an image from last year's post to reflect a premonition of Christmas in 2020 where our next privacy and security problems will be caused by IoT devices. 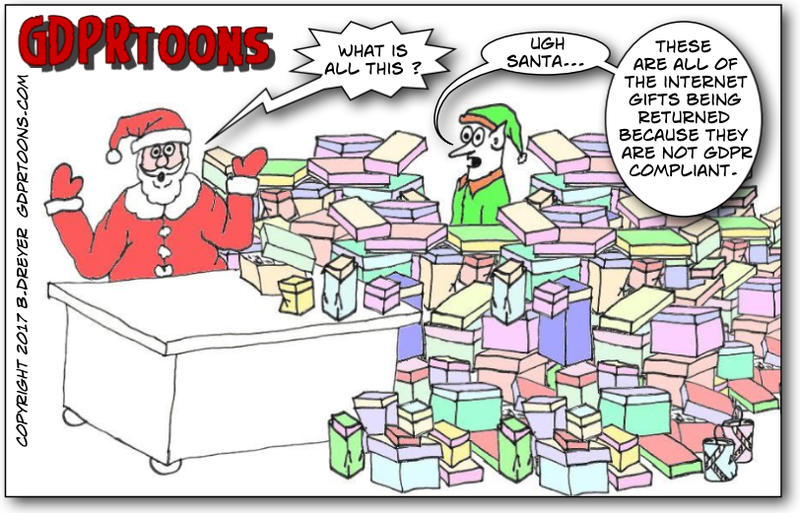 For those of you who follow GDPRtoons may not know that I am now working for DataEM as their Managing Partner. DataEM is a CDP Consultancy that can help you manage the delicate balance between marketing and privacy. CDP = Customer Data Platform. Visit DataEM.com to learn more. 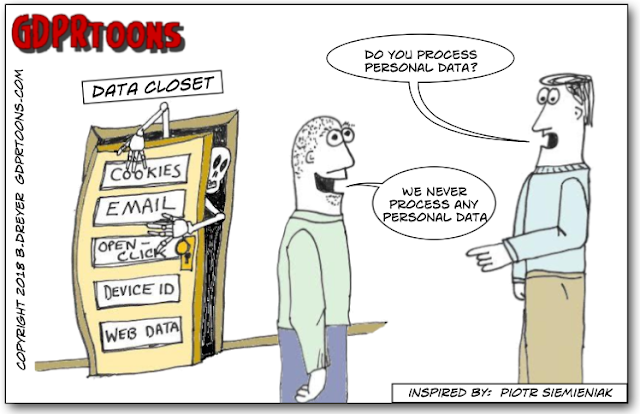 There are many people with SKELETONS in their DATA Closets! To say it shortly - if you have the personal data - you process it accordingly to the definition of processing. What are the consequences of this definition? It means that you have to comply with different aspects of GDPR like security, notice provided to the data subject and having a legal basis for the processing. If you plan to use external supplier to process the personal data you have to sign a Data Processing Agreement accordingly to the article 28 of GDPR. On May 25, 2018, the General Data Protection Regulation (GDPR) will become a global law. The regulation applies to the collection, processing and movement of personal data for individuals residing in 32 European States. (28 EU States + 4 other European States). If your company has prospects or customers in these States, you most likely have exposure and are mandated to comply, or risk severe penalties and fines. 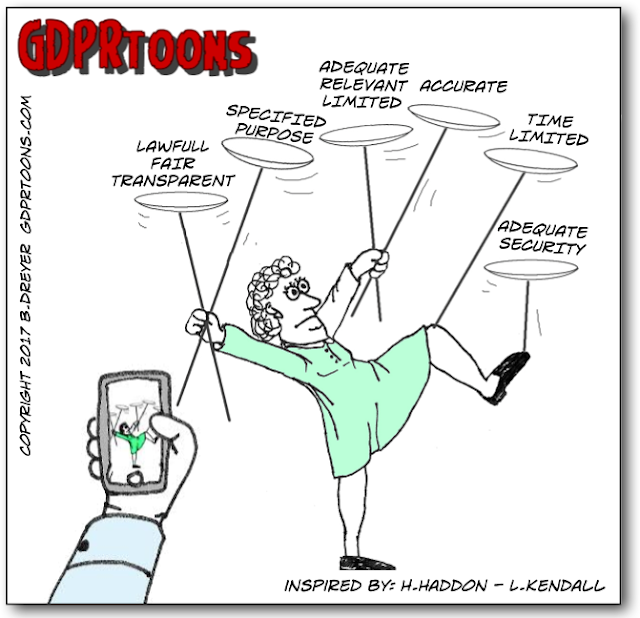 GDPR Citation (6) Rapid technological developments and globalisation have brought new challenges for the protection of personal data. The scale of the collection and sharing of personal data has increased significantly. Technology allows both private companies and public authorities to make use of personal data on an unprecedented scale in order to pursue their activities. Natural persons increasingly make personal information available publicly and globally. Technology has transformed both the economy and social life, and should further facilitate the free flow of personal data within the Union and the transfer to third countries and international organisations, while ensuring a high level of the protection of personal data. GDPR Citation (7) Those developments require a strong and more coherent data protection framework in the Union, backed by strong enforcement, given the importance of creating the trust that will allow the digital economy to develop across the internal market. Natural persons should have control of their own personal data. Legal and practical certainty for natural persons, economic operators and public authorities should be enhanced. . 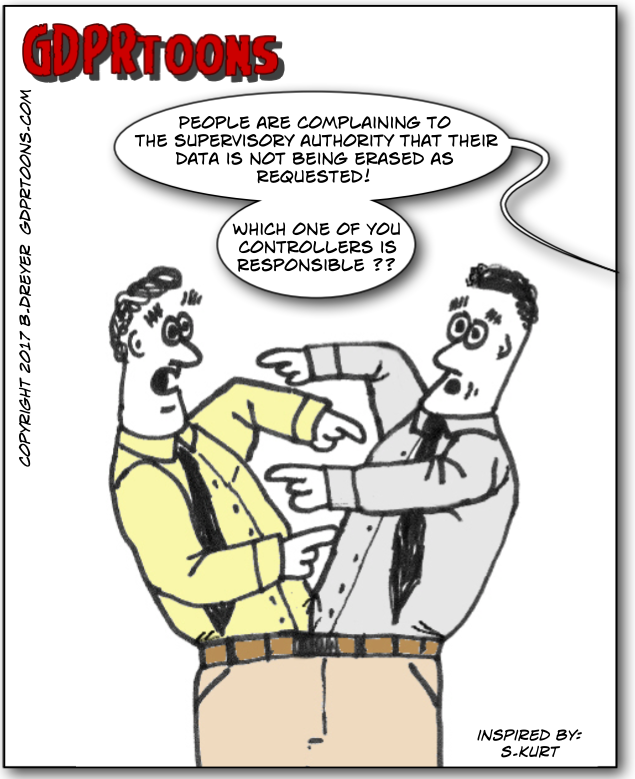 The GDPR specifically addresses when more than one controller is involved with the processing of an individual's personal data. In addition to the overlap of data processing responsibilities, liabilities are also shared, including the data subject's rights to compensation. GDPR Article 26 (Joint Controllers) and GDPR Article 82 (Right to compensation and liability) are included below for reference. 1. Where two or more controllers jointly determine the purposes and means of processing, they shall be joint controllers. They shall in a transparent manner determine their respective responsibilities for compliance with the obligations under this Regulation, in particular as regards the exercising of the rights of the data subject and their respective duties to provide the information referred to in Articles 13 and 14, by means of an arrangement between them unless, and in so far as, the respective responsibilities of the controllers are determined by Union or Member State law to which the controllers are subject. The arrangement may designate a contact point for data subjects. 2. The arrangement referred to in paragraph 1 shall duly reflect the respective roles and relationships of the joint controllers vis-à-vis the data subjects. The essence of the arrangement shall be made available to the data subject. 3. Irrespective of the terms of the arrangement referred to in paragraph 1, the data subject may exercise his or her rights under this Regulation in respect of and against each of the controllers. As illustrated above, a Controller has the responsibility of balancing six basic principles involving the collection of personal data, as well as being able to demonstrate compliance. The basic priciples of GDPR state that the collection of personal data shall be done lawfully, fairly and in a transparent, for specified, explicit and legitimate purposes, adequate, relevant and limited, accurate, 'storage limitation', In a manner that ensures appropriate security of the personal data. 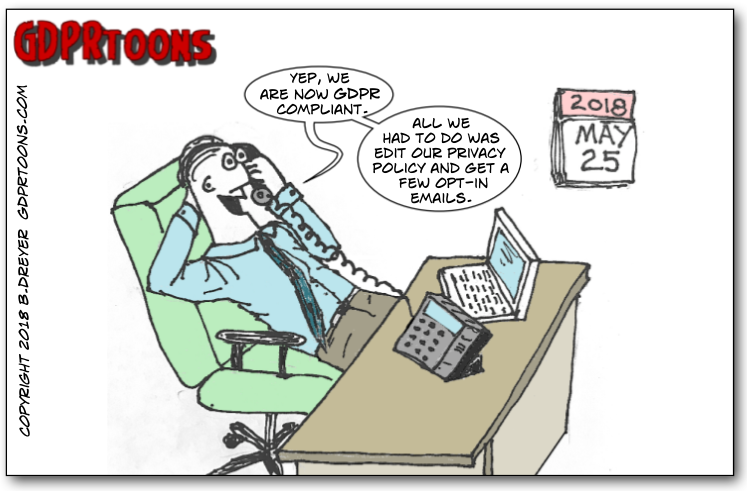 The GDPR also states that the controller should be able to demonstrate compliance. (f) processed in a manner that ensures appropriate security of the personal data, including protection against unauthorised or unlawful processing and against accidental loss, destruction or damage, using appropriate technical or organisational measures ('integrity and confidentiality'). 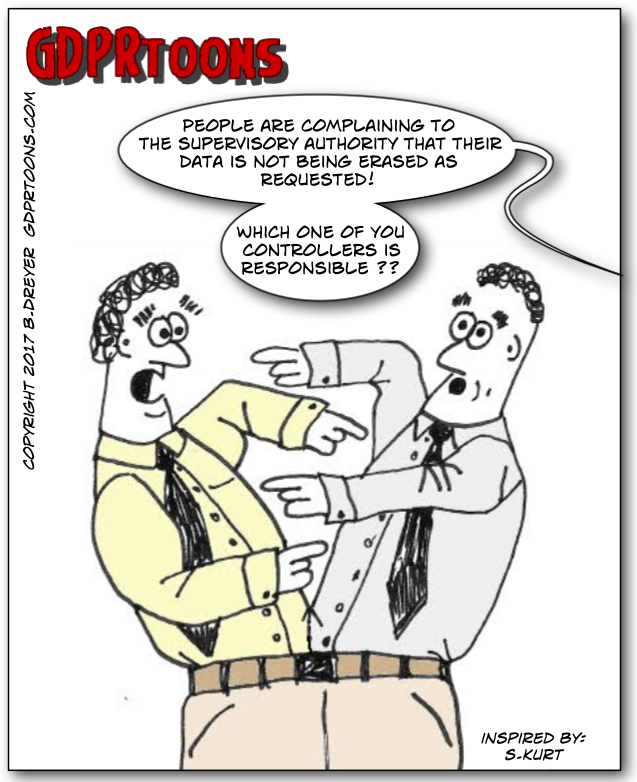 GDPR, Article 5, Paragraph (2) The controller shall be responsible for, and be able to demonstrate compliance with, paragraph 1 ('accountability'). 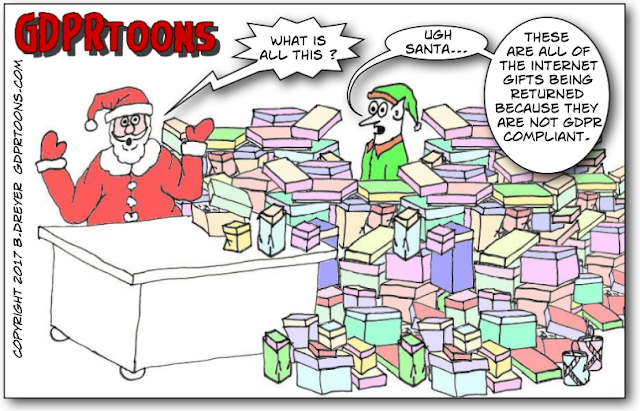 This 'toon was inspired and contributed by Helen Haddon and Lucy Kendall of www.ComplyGDPR.com.